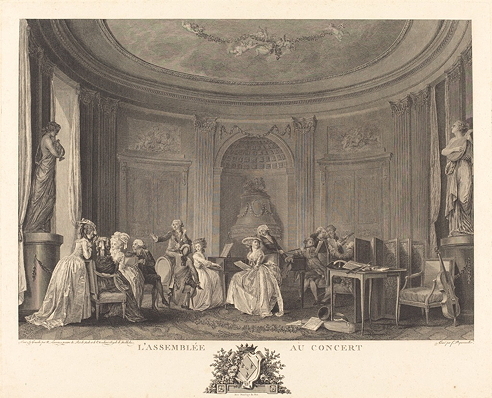 Dequevauviller, François Nicolas Barthélemy, after Nicolas Lavreince, Gathering at the Concert, 1784. Etching and engraving. National Gallery of Art, Washington DC. della Croce, Johann Nepomuk. 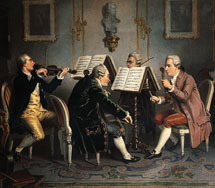 Portrait of the Mozart Family.